This is fascinating to me for a couple of reasons: When I tested it I’d forgotten I’d been using duckduckgo.com on all my devices for 4 months, so I could see a view file link. Obviously I’ve not missed google searches. Is it such a bad thing that you have to visit a site to download images. That gives you thinking time and might help you check copyright. I could spend 2 minutes watching Google’s beautiful 2017 video or I could make a gif. Reading above my pay grade again. Given Schools should teach pupils how to spot ‘fake news’ – BBC News, it might make understanding and evaluating content even harder. TL:DR I’ve found a link that leads to google image search for images labeled for noncommercial reuse. This is handy on iOS where it is hard to get to the Usage Rights Filter, here is the link: https://www.google.co.uk/search?q=&lr=&safe=active&hl=en-GB&tbs=sur:f&tbm=isch. Coming back to the classroom after 9 years I find I am still interested in searching for images and copyright. It still seems to be as hard to get young children to understand the problem and harder to understand and carry out attribution. 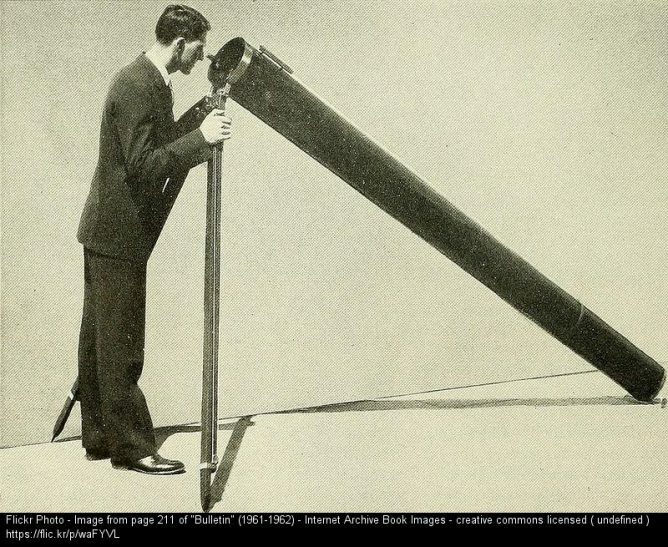 On my classes blog I link to various places to search for images with some advice on attribution. I include my FlickrCC Stampr tool which can simplify the attribution. As well as the problem with attribution there is the ever present temptation just to search google. This is made worse by the fact that the Search Tools displayed on iOS lack the Usage Rights popup. So I was interested in the link I saw today: How to find Google images with reuse licenses on an iPad iOS – Using Technology Better. 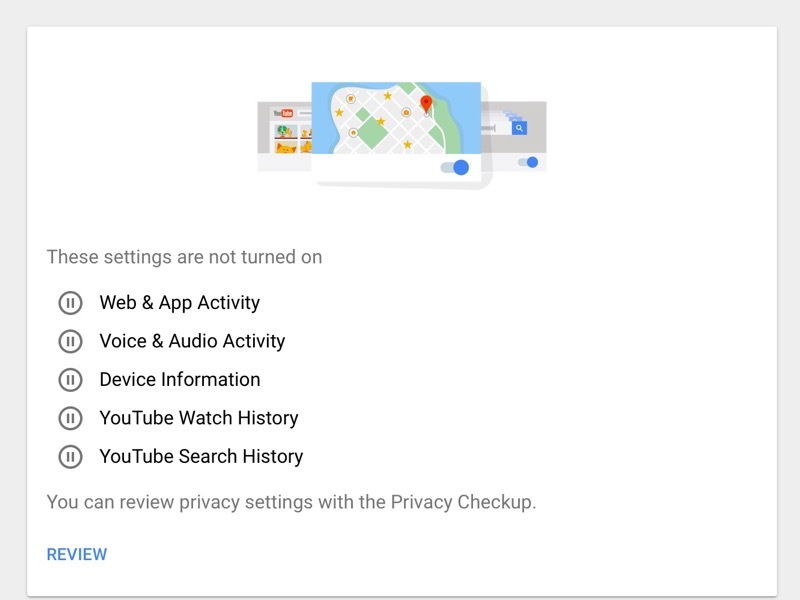 Unfortunately this method was described as a hack and took 6 steps to get to the advanced search and the usage rights pop up. iOS google Search no Usages rights in Tools. Google Image Search Mac, has Usage rights in Tools. So I though I might have a search for the url parameters1 involved in a search with the Usage rights displayed. You can expect that a lot of this will change. The reason why Google themselves do not provide any guidance or documentation on these parameters is probably that they want to retain full freedom to change how they work. You can expect that some will be removed, some will be added, and others will give a different result than before. from: Google Search URL Request Parameters | DETECTED Which give a lot of details, but not the one I wanted. The tbm=isch bit makes it an image search, the tbs=sur:f seems to set the usage rights to Labeled for noncommercial reuse. So you can now give pupils on iOS a direct link to search for images that labeled for noncommercial reuse. And over the years I’ve read a good few posts about the tool on Alan’s blog (e.g. The Hidden Complexity of Attribution, Reverse Image Search ). I am even more strongly minded that we should be starting to teach these skills from a young age. How easy that will be I don’t know. A few weeks ago, during the scary clown storm I was hearing about clown stories every day. One pupil was most insistent that there was a clown plague. The pupil presented me with ‘evidence’ from his iPad. This was a photo of a dead clown stretched out shot on a New York street. I took a look with the idea of demonstrating a wee bit of fact checking. On scrolling down below the picture I found the headline explaining that this was a fake photo! No detective work needed. I am not quite sure where to start with this teaching. Perhaps using the reverse image search to identify things or creatures combined with some work on The Pacific Northwest Tree Octopus. The problem is that the fake stuff is catchy, fun and enables us to grab a quick stance. 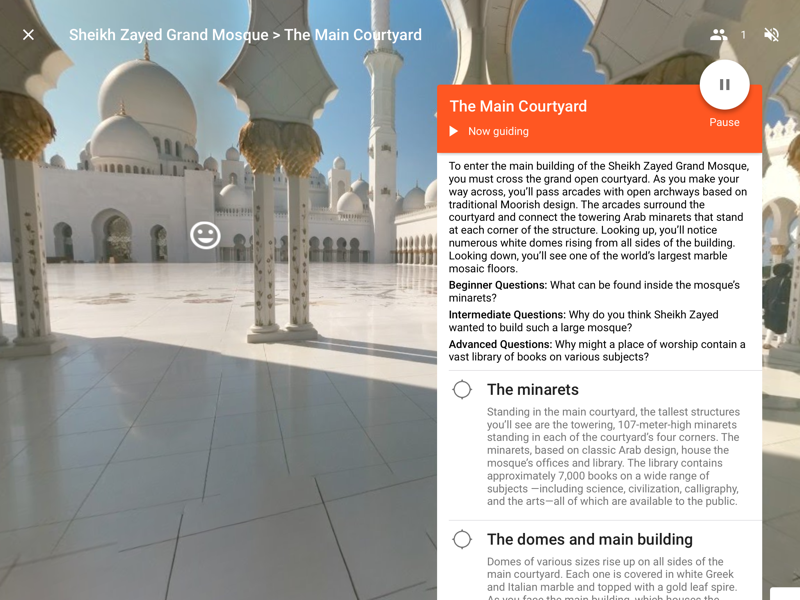 A while back a blogged about my classes brief experience of Google Expeditions one of the things I didn’t mention was the thought that it might be interesting for children to be creators of content. Capture and share moments with virtual reality (VR) photos. 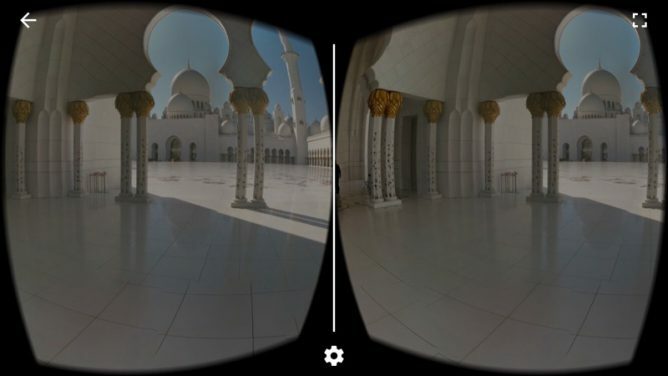 VR photos let you experience scenery and sound in every direction and in 3D, making things near you look close and faraway things look far away. I’ve only had time to give it a couple of quick tests on my phone. The one I made in the class certainly seemed to impress the pupils when viewed in Google Cardboard. 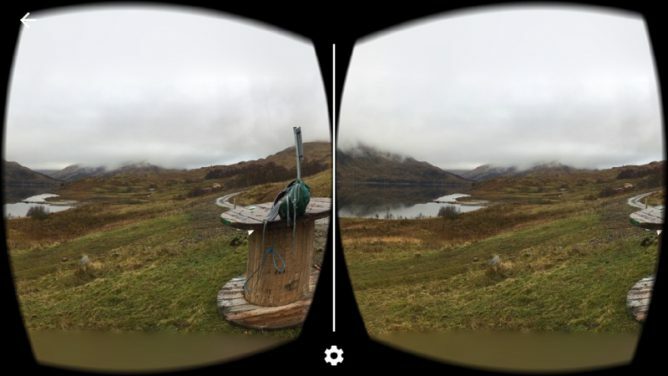 The app saves at an image with a .vr.jpg extension in the camera roll as well as the app. When imported to photos on a mac this turns out to be 10994 pixels by 1706 and weights in at 4.9 MB. You can see an exported & much reduced version below. As you view the image you can hear the sound recorded at the time. So You can either have atmosphere or a voice over. I wonder if it is worth having an iPod Touch in class. I have always been slightly surprised that iPod Touches disappeared from the education scene when the iPad came along. The fact that they should work in google cardboard or other VR viewers might bring them back? Featured image screenshot of the Cardboard Camera in action. I’ve long been fascinated by google auto completes but never though of deeper implications. I read this in the Observer this morning. Thanks to @LillyLyle for digging out the link I couldn’t find (via @IanStuart66)). I use google all of the time and do pay attention to the auto completes as they often seem to help in refining a search. Sometimes this is just to avoid suggestions, sometime better. I’d not thought about the darker side. I am used to the top google results having some sort of authority. Google a film get IMDB or Wikipedia. This gives pause. Featured image captured with LICEcap. is google listening to me? 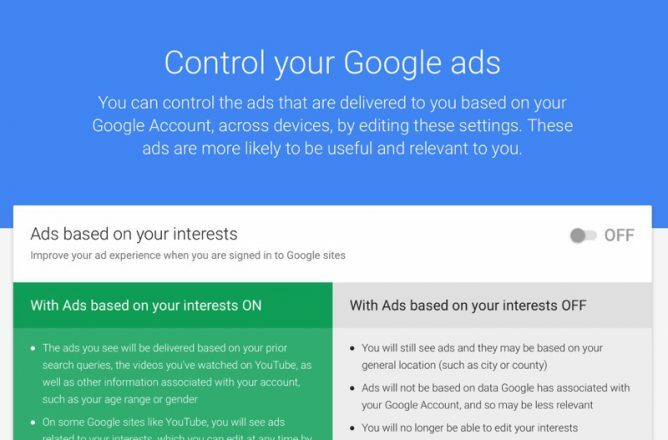 After that I headed over to the Google My Account page and turned off as much as I could.